Was today your birthday? then lucky you as you share it with..
none other than Mahmoud Ahmadinejad himself. Oh yes, 28th of October is the day when the village of Aradan in Iran’s Semnan province first heard the patter of tiny feet in 1956. And since then, those very same feet have destroyed many things inside Iran. But, you can’t say Ahmadinejad is not a man of miracles. How can you not believe in miracles when according to the Iranian regime in 2009 he won the presidential elections with votes cast for him in the state of Israel itself. Oh yes, those non-existent ballot boxes in Jerusalem were full of Ahmadinejad votes, thus allowing him to win his non-existent “people’s” victory. But don’t be sad because you share a birthday with the man . There are people worse off than you. Feel bad for me. I spent so much time researching his life for his biography which I coauthored in 2007 that on couple of occasions I dreamed that I was speaking with him. I distinctly remember that in one dream I was asking him why in 2005 he said he father had died in 1993 when in fact he was alive. His father died in 2006 and not 1993. I can tell you one thing about that experience: at least I will never suffer from narcolepsy. And we are not the only lucky ones. Today, on his 58th birthday the people of Iran received a brand new newspaper called HOMA (Havadaran-e Mahmoud Ahmadinejad) or supporters of Mahmoud Ahmadinejad. You can say what you want about the sanctions, from now on with this newspaper no one can complain about the lack of medication for insomnia in Iran. Today was a teaching day for me. To simplify what was a long seminar, when it comes to influencing factors, first and foremost there is domestic politics, and then the economy. The same as almost every other country. 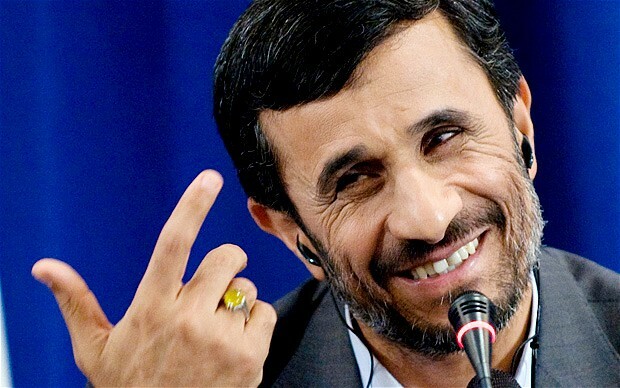 So while I was trying to teach how domestic Iranian politics influenced Iran’s foreign policy in Africa during Mahmoud Ahmadinejad’s presidency, I thought to myself “after this I am going to need a break”. And when I do get a break, YouTube is my sanctuary. And thats where I found this beautiful video of a recent 5000 km road trip in Iran. Its made by the Dutch based Beyond Borders Media. Its absolutely breathtaking. I will be sharing it with my students as well, especially those from Israel. It would be a tragedy for them to judge Iran by its politicians. Not just Iran in fact. You could say that about many countries, yet it holds true when it comes to Iran, more than many others. You can also watch their photo album here. Very beautiful. 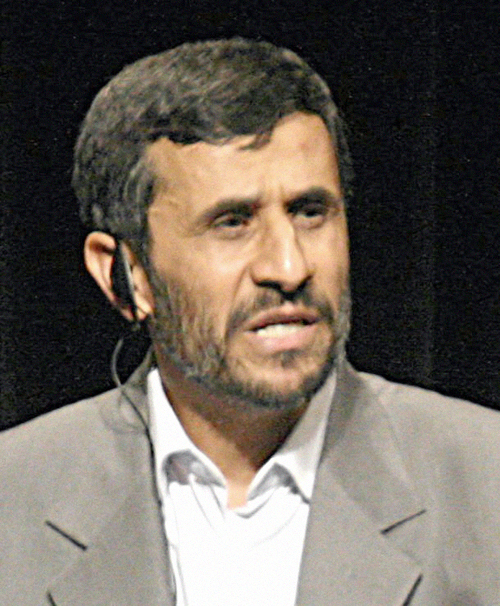 Today is Mahmoud Ahmadinejad’s birthday. He turns 57. Here is a birthday message I sent to him in 2009. Queridos amigos, les presento mi ultimo articulo en Español, sobre Ahmadinejad, Iran y la AMIA. When Ahmadinejad’s name comes up, I have generally witnessed two types of reactions from Israelis. The first is one of amazement, as to how someone can be so ignorant to deny the holocaust. They see him as a laughable clown. This is the minority. The second type seems to genuinely believe that he is a sworn and sophisticated anti-Semite who would do anything and everything to wipe Israel off the map. This has been the majority. But what about reformist president Khatami? I moved to Israel from the UK in 2004. So I was only here for one year during Khatami’s presidency. To be honest, after watching this comedy clip, I really felt that my words would be wasted, because according to my experience, this is exactly how the majority of Israelis I met felt towards Khatami. The main actor is Eli Yatzpan, one of Israel’s most famous comedians. This story was taken up later by Las Vegas’s Guardian Express (no connections with the London Guardian). Kahlili who according to his bio is a former CIA agent in Iran has given us false alarms before. In January this year, Kahlili and the US based blogger Richard Silverstein both claimed a “scoop” about a mysterious explosion in Iran’s Fordow nuclear facility. Kahlili claimed that his source was a “former intelligence officer of the Iranian regime” while Silverstein claimed that he has a “highly placed Israeli source”. Both stories turned out to be bogus. According to the IAEA which inspects Fordow, there was no such explosion. It was a hoax. Based on this and on Kahlili’s other highly questionable reports (this one about Iran working on a nuclear warhead, something which goes against the IDF intelligence assessment that Iran has not yet decided to make a bomb), I would not give credibility to his latest report. If and when Kahlili’s claims are corroborated by a more credible source, then I would take them seriously. Update: as spotted by Ashkan Safaei who is a former broadcast journalist at Israel’s state Radio, Ahmadinejad was not at the Tehran book fair on Monday as Kahlili claims. He was there on Tuesday, as corroborated by local news reports. The scenario that after the elections Mahmoud Ahmadinejad may be placed under house arrest is one which can not be dismissed. These days he is becoming a bigger danger to regime stability than to the security of the state of Israel.